Nevada law defines an attractive nuisance as any artificial feature or condition that a child may want to access. There are several attractive nuisances on Nevada properties, particularly due to its weather. Examples of attractive nuisances include trampolines, swimming pools, farm equipment, treehouses, and man-made ponds. Should a Nevada property owner or operator have these attractive nuisances on the premises, he or she must take reasonable actions to prevent children from being hurt as a result of them. The basic premise of the attractive nuisance doctrine is that young children are incapable of appreciating the risks associated with playing on certain structures, particularly when they are enticing to them. The time and expense required in taking action to make the artificial condition safe or safer is small when compared to the harm a child could suffer if hurt. Of note, the attractive nuisance doctrine only applies to artificial conditions; in other words, a Nevada property owner has no legal duty to secure a natural condition from a trespassing child. 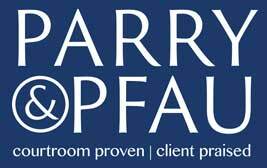 If you or someone you know has had a child harmed as a result of an attractive nuisance, contact the experienced Las Vegas personal injury attorneys at Parry & Pfau today for your initial case evaluation. Las Vegas hotels have the legal duty to provide their guests with a safe environment to avoid injuries, just like all other businesses. The majority of guests and homeowners that use Airbnb do so without issue. That being said, sometimes bad things happen and people get injured. If you suffer a slip and fall in a Nevada store, you may have a valid legal claim against that business depending on the circumstances. Hospital emergency rooms across the nation saw about 30,000 patients for treatment of amusement-park related injuries in 2016. It is not uncommon for a slip and fall to occur to someone visiting a hotel or casino on the Las Vegas strip. While many of the lawsuits on the ILR’s list are laughable, they are also a reminder of how some abuse the legal system to target businesses in search of damages. The fact that a slip or trip and fall accident can happen in virtually any location means that we are all at risk of being injured on a day-to-day basis. How Long Does It Take to Settle My Case? There are a great number of variables that determine how long it will take for your case to be over. Here is an in-depth analysis of many of them. Older PostIs it Legal to Buy Alcohol Before Noon?